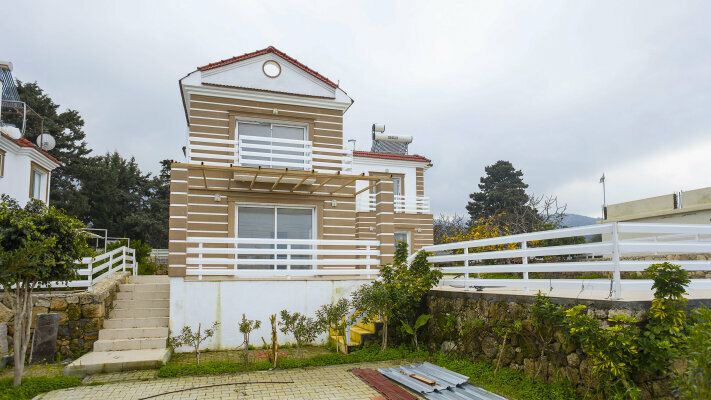 A delightful villa in Karsiyaka, suburb of one of the most developed cities in Northern Cyprus - Kyrenia. Quiet place, magnificent nature - the sea on one side, the mountains on the other. Fresh air, warm sea with crystal waters and beautiful beaches. Comfortable temperature and sun all year round. A great option to live in as well as for holidays. Good insulation, comfortable functional planning, spacious living room and a great location. The sea, mountains, a quiet place located 15 kilometers away from Kyrenia. Northern Cyprus. Mediterranean Sea. The close to the beach and mountains. Quiet place. Fresh air. Beautiful nature. All the components for comfortable life and recreation.